Everything you need to know about a Vietnam Motorcycle Adventure. 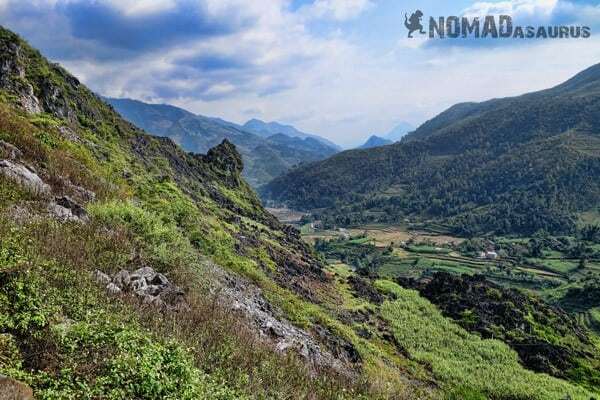 You’ve seen the Top Gear episode and rode a bike across the famous Hai Van pass. You learnt to ride a scooter on the islands of Southern Thailand and you’ve traversed the epic Mae Hong Son Loop. After backpacking through Laos, the Thakhek Loop was one of the highlights of your travels. And who could forget that incredible adventure riding your cheap motorcycle all the way from Ho Chi Minh City to Hanoi? You think you have seen it all. Explored the best that Southeast Asia has to offer on two wheels. Time to hang up the helmet, pass the keys onto the next intrepid traveller and move on to greener pastures. But what if I told you the best was yet to come? The fascinating and captivating region north of Vietnam’s capital city, Hanoi, tends to escape most traveller’s itineraries – Sapa being the exception. Whether it is due to time constraints or lack of awareness, this is truly a shame, for the provinces along the Chinese border contains some of the region’s most diverse and captivating scenery. Mountains rise dramatically from the pastures like gargantuan bee hives. Rice terraces stagger down valleys, mimicking the steps of mythical giants. 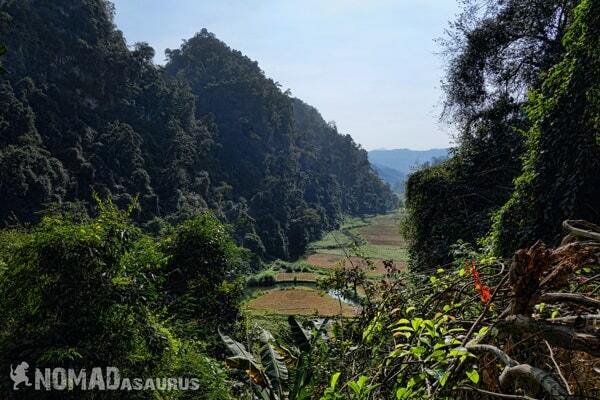 Southeast Asia’s deepest canyon scars the landscape. Ethnic minority villages that still remain untouched from tourist development are readily accessible, if you can find the way. Here’s our complete guide to help you Travel To Vietnam. The North is more than just a beautiful sector of the country – it is its own powerful force, beckoning those adventurers who so sorely wish to get off the banana pancake trail and experience a world unlike any other. 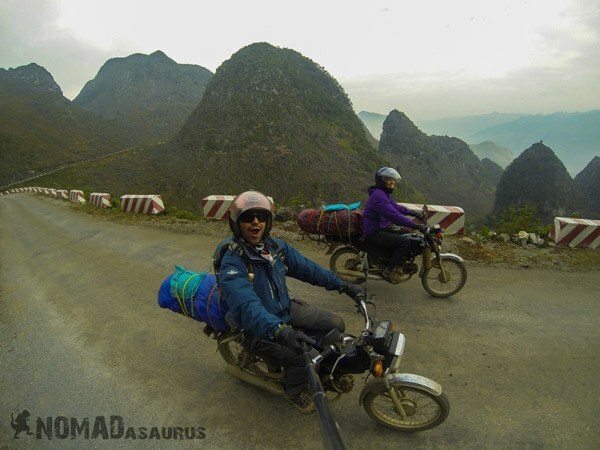 By leaps and bounds the best way to explore Northern Vietnam is by motorcycle. Nature’s heavenliness can hardly be appreciated when confined by the windows of a bus, unable to pause at any moment you wish to take in the awe-inspiring topography. Lesh and I rode our motorbikes for more than 10 months and 15’000km all around Southeast Asia. After talking to friends of ours who had done the Northern Vietnam journey, our excitement levels were soaring as we left the bustling capital city of Hanoi and made our way towards the lesser-explored areas located near the Chinese border. Armed with a paper map, a tentative itinerary from our friend Chris at Flamingo Travels and a healthy appetite for adventure, we set forth with eyes wide on the open road. Kilometre after kilometre passed us by as we rode through topography that dropped our jaws to the handlebars. 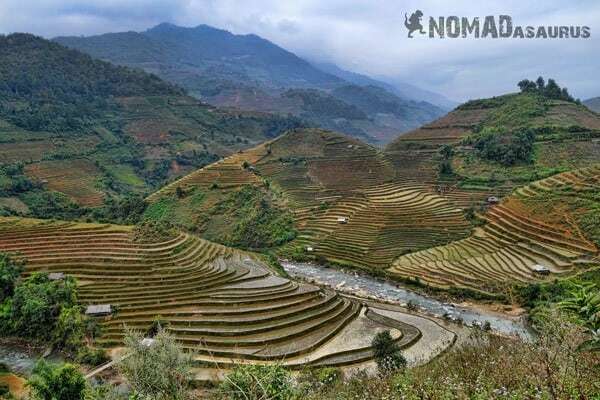 The terraced fields in the Lai Chau and Lao Cai provinces were postcard perfect. The smiles worn by many of the Hmong people will forever be etched in our minds and in our hearts. If I close my eyes I can still vividly picture the bends in the road and the mountain passes we climbed. I am instantly transported to the seat of my Honda Win, leaning into one more banked curve on the edge of a tumbling cliff. A gravel road with no barricades as we rode into Xin Man. 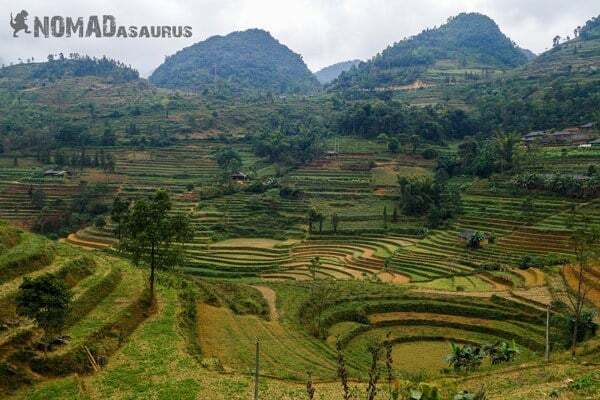 It is the famous Ha Giang province which proved to be the most memorable part of the adventure. The UNESCO Dong Van Karst Geopark – 2350 km² of imposing limestone mountains – is reminiscent of scenes from the Hollywood movie, Avatar. 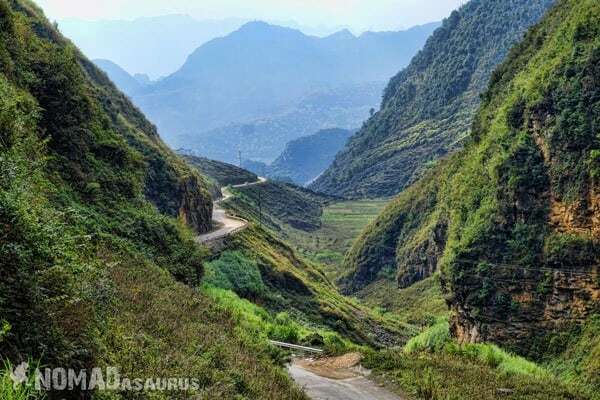 Words cannot accurately express the grandeur to be found just past Ha Giang; an area that still requires special permits to travel through legally. 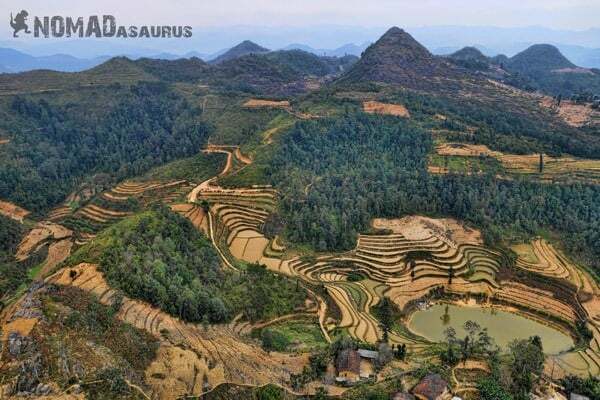 Lunar landscapes and abundant karst scenery are unlike anything to be seen elsewhere in Southeast Asia. If no other reason draws you into this undeservedly-neglected territory, this UNESCO Geopark site – only the second one in Southeast Asia – should be enough to make you change your plans and seek refuge in the North. Massive mountains outside of Than Uyen. The route we took can be altered, shortened or lengthened depending on how much time you have to explore. We spent two weeks riding 1500km around Northern Vietnam and could have easily extended this by another week or two. If time is on your side, slow down and shorten the distances you ride between towns.Take small back roads to ethnic minority villages. Make the most of regular pitstops and hang out in a place longer after eating your bowl of pho. Savour every moment. 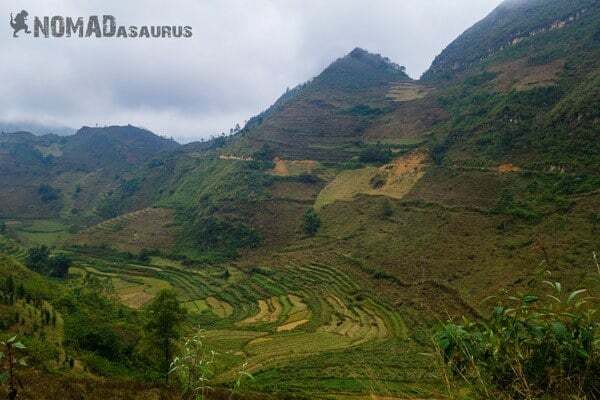 Leaving Hanoi we took an alternate way to Sapa, staying the night in the towns of Nghia Lo and Than Uyen as we rode past some of the most spectacular rice terraces you will ever have the chance to see. Rice terraces as far as the eye can see near Than Uyen. 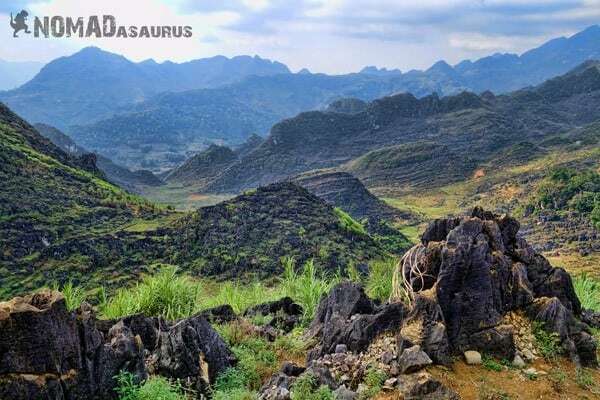 A must-do alternative, if you have not already been, is to begin your trip heading to Mai Chau. This bucolic oasis offers a perfect relaxing environment, with just enough activities to ensure you never get bored. 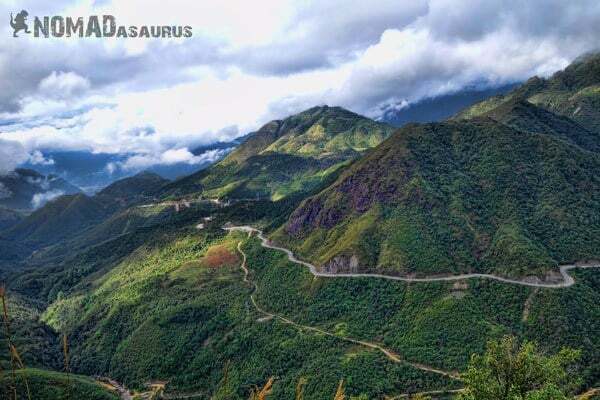 From there you can ride to the historic town of Dien Bien Phu before cutting across to Sapa. 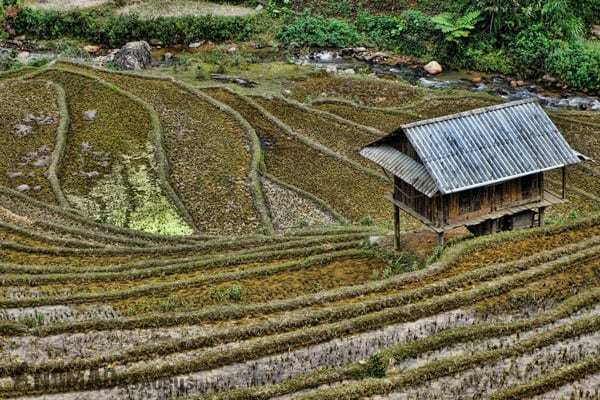 It is all too easy to fall in love with the gorgeous mountain resort town of Sapa, where you can climb the tallest peak in mainland South East Asia, Fansipan, or trek to visit hill tribe villages. Extend your stay as long as you wish before breaking up your ride towards Ha Giang, with a stopover at the famous markets in Bac Ha and a night in Coc Pai. More rice terraces to please the visual senses, as well as some sensational mountain passes along the way will slow your pace down as you constantly stop to bask in the glorious views. The provincial capital of Ha Giang is an interesting destination and has the feel of a true authentic town yet to be exposed to mass tourism. It is here where you will need to purchase a “Permit To Enter The Border Area”. 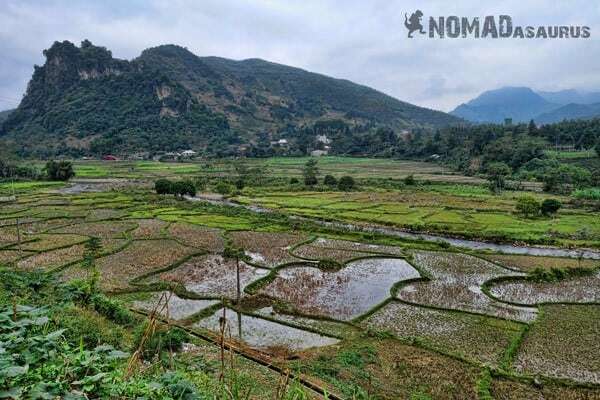 This allows you to ride deeper into the Ha Giang province, and it is a legal requirement to possess one if you wish to avoid any trouble with the police. Many guesthouses and hotels won’t let you stay if you don’t have one either. Now here comes the part that will leave you breathless and in constant awe – The Dong Van Karst Geopark. Containing 2356km² of limestone formations, 17 ethnic minority groups and Southeast Asia’s deepest canyon, Ma Pi Leng, this section is the most surreal riding anywhere in Vietnam. Beehive-like karst formations in the Dong Van Geopark. Ma Pi Leng – Southeast Asia’s deepest canyon. Passing through Meo Vac is like entering a concrete village from the Soviet-era, but it is not without its charms. From Meo Vac make your way to the riverside town of Bao Lac. 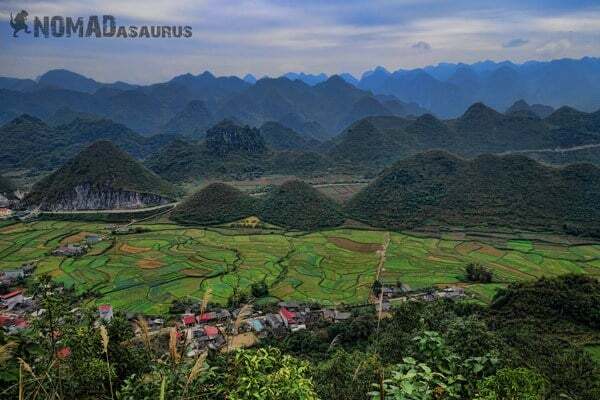 The jagged peaks fade away and merge into steep forested hills and rolling farmland. 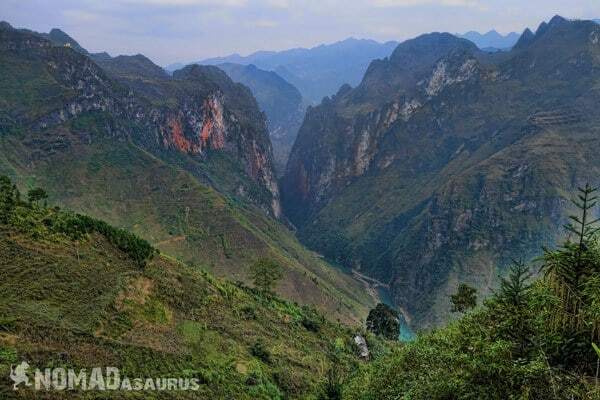 Enjoy the green pastures and meandering waters all the way to the industrious city of Cao Bang. Cao Bang serves as a stepping stone to the second largest waterfall in Southeast Asia – Ban Gioc Falls. These thundering cascades straddle the border of Vietnam and China and tourists can visit the misty torrent from either country. 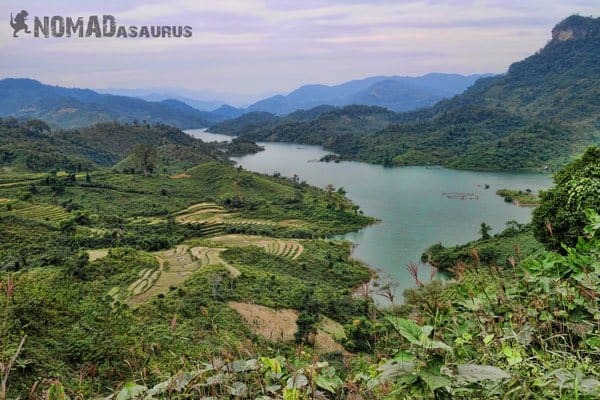 After so many days of constant riding bliss, a brief respite at the lush Ba Be Lake in the Ba Be National Park is the perfect end to the Northern Vietnam motorcycle adventure. 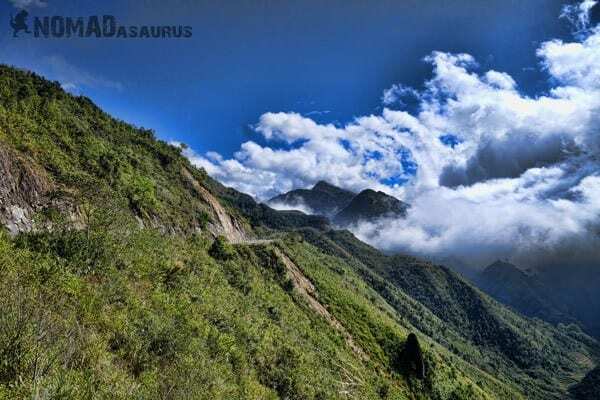 Spend a few nights relaxing in a traditional homestay and trek deep into the national park, where you can meet families from a number of ethnic minority villages. Amazing views over the Ba Be National Park! The final stretch to Hanoi requires intense concentration due to the overwhelming amount of kamikaze traffic on the roads. But after arriving in the bustling cultural capital the sense of satisfaction will be immense. The far North of Vietnam, along the border region with China, is the best riding you can do anywhere in Vietnam, Cambodia, Thailand and Laos. No other region in Southeast Asia is comparable to its stark beauty. 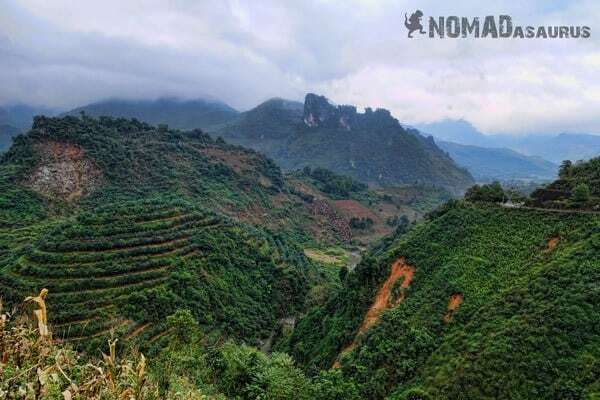 The Northern Vietnam motorcycle adventure will be one journey that can never be forgotten. 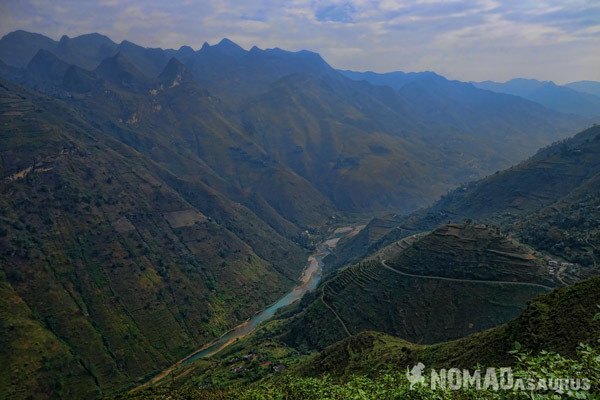 This is the route and itinerary that we took on our Northern Vietnam motorcycle adventure. 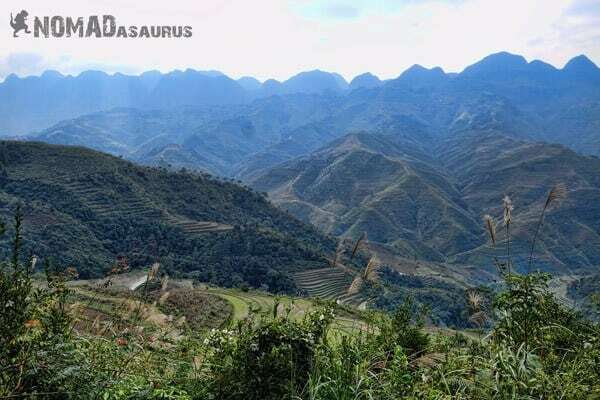 If we were to do it again we would spend an extra day or two doing the Ha Giang Loop, and really take the time to explore all the cool sights in the Dong Van Karst Geopark. Road Conditions: Heavy traffic in Hanoi. Roads were decent. Paved entire way, a few sections with potholes. Scenery: Flatlands out of Hanoi. Small farming villages. Large pastures. Mountain passes and terraced rice fields. Road Conditions: Little traffic. Good conditions on the roads. Paved. Scenery: More spectacular rice terraces and steep mountains. Road Conditions: Very good. Paved highways the entire way. Scenery: Incredible rice terraces until Road 4D. After that some of the most amazing mountain views to be found in Vietnam. 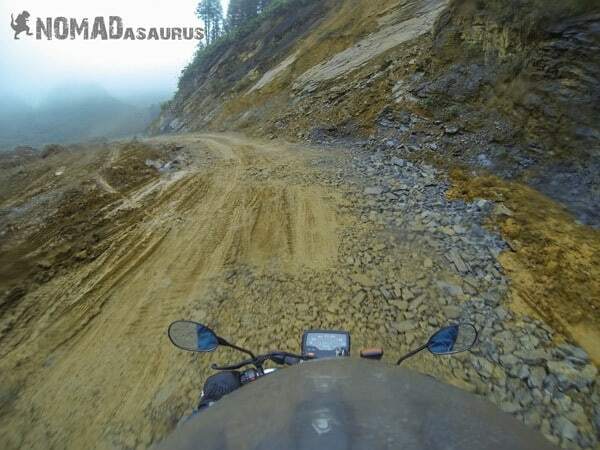 Road Conditions: Road works leaving Sapa. The country road next to the main highway was terrible. Very muddy and bumpy, mostly dirt and gravel. When it was paved there were large potholes everywhere. Rough construction along Road 153. Climbed a couple of very intense mountain passes before we got into Coc Pai. By far the worst roads we tackled in the North, but still not as bad as the Ho Chi Minh Highway from Pleiku to Buon Ma Thuot. Once we got onto Road 153 the scenery was beautiful. Weather was quite foggy but when it lifted we were very impressed with the views. Was tough to pay much attention to the landscapes with the state of the roads being as bad as they were. One of the better sections of the road to Xin Man. Road Conditions: Much better than the previous day. Leaving Coc Pai the roads had a few potholes, but were nothing too worrisome. Scenery: Great mountain passes, picturesque valleys. Lush forests. Route: Road 4C (Make sure you take this one!) 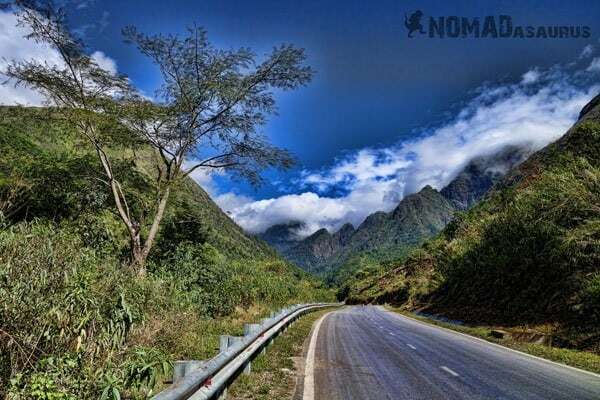 Take a detour towards Lung Cu – the northernmost point of Vietnam. 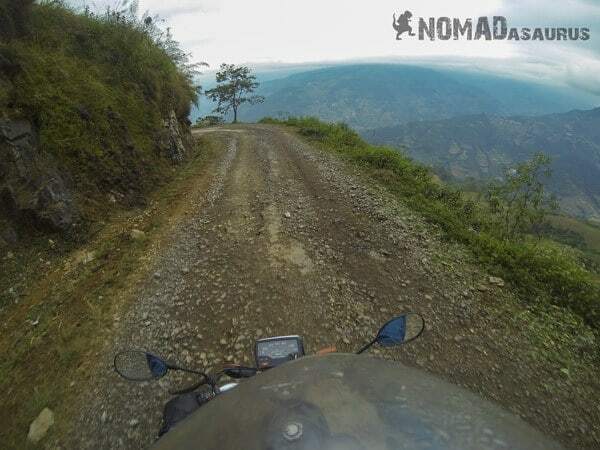 Road Conditions: A little bumpy leaving Ha Giang. Road was narrow, lots of heavy trucks on the thin switchbacks heading up the first mountain out of Ha Giang. Quite dangerous. Became much nicer over that initial mountain pass. Scenery: In a word – Breathtaking. The road to Dong Van. Looking down into China from the observation tower at Lung Cu – The northernmost point of Vietnam. 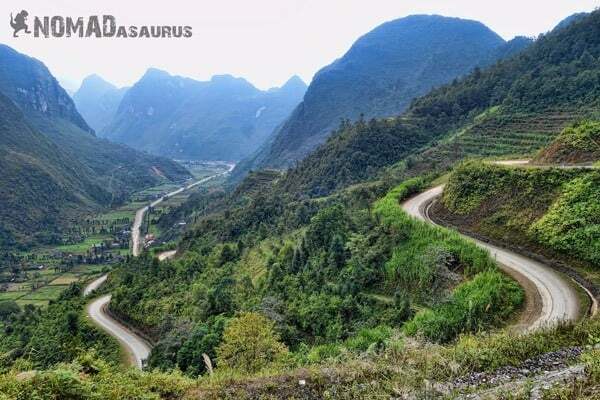 Scenery: The 22km stretch from Dong Van to Meo Vac was possible THE best road in Vietnam. Move over Hai Van Pass, those Top Gear boys have no idea what they missed out on. After that was still beautiful. Stoked to be riding through Ma Pi Leng. Road Conditions: Very good. Sections outside of Bao Lac were a little average, but nothing to be worried about. Less appealing than the views from the last few days, but still gorgeous. Road Conditions: Unfortunately due to heavy fog and rain we did not make the journey to Ban Gioc Falls. We were utterly disappointed in this, but have heard good things about the road conditions. Road Conditions: Highway 3, Road 34 were very good. Road 212 was decent, very steep mountain passes and winding switchbacks. Road 34 was very charming, we could not see far on Road 212 due to fog, but can only imagine how beautiful it must have been up there. Road Conditions: Decent road conditions, paved the entire way. Traffic on Highway 3 getting into Hanoi was murderous. Beautiful leaving Ba Be Lake, nothing spectacular entering Hanoi. Rice fields outside of Than Uyen, back near the beginning of our journey. Riding our motorbikes in Northern Vietnam was easily the best thing we have done in Southeast Asia. Luckily it wasn’t too difficult to do as well. 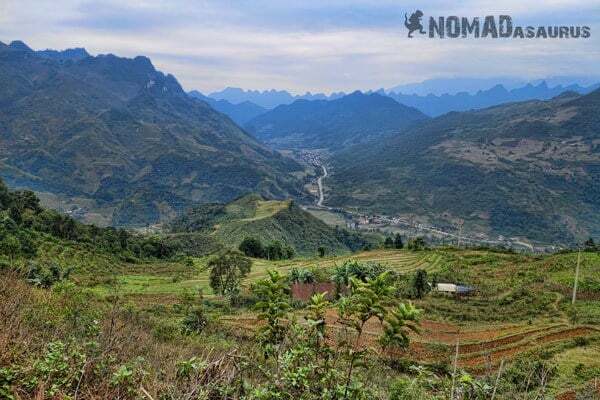 Here are some of our best tips for riding a motorbike in Northern Vietnam. There are hotels, guesthouses and homestays just about everywhere in Northern Vietnam. You do not need to carry a tent or hammock unless you really want to get off the beaten path. Prices vary from about $3 for a very basic room with a bed in a “nha nghi” (guesthouse) right up to $50 for a luxury hotel room in Sapa or Cao Bang. On average we spent about $10-15 a night for very nice rooms with private bathroom, hot water and wifi. The weather in Northern Vietnam can be very cold, particularly around December and January. Expect cool temperatures (it can snow in the mountains around Sapa), wet mist and dense fog. We rode in December and got lucky with the visibility most of the time, although it was quite cold. Pack layers of clothes, a face mask and some thick gloves. In July and August there can be heavy rain. 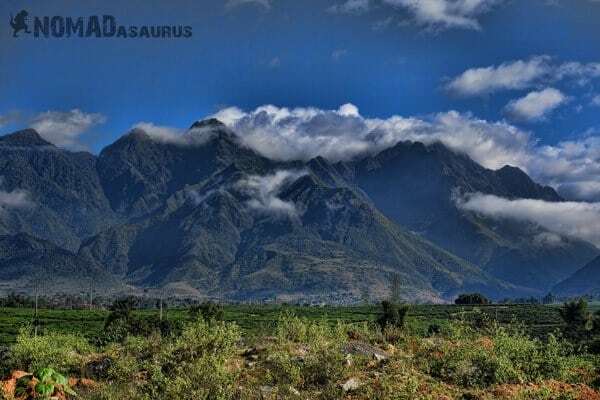 The monsoon season is from November to March and the hot, wet season from April to October. 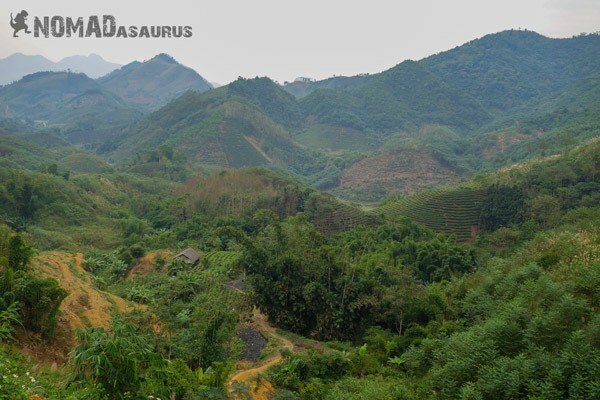 Although regardless of the weather, you should still ride your motorbike around Northern Vietnam. If you are riding a Honda Win or Honda Wave you will have no problem finding mechanics anywhere in the North. Honda Wins are the main type of bikes that locals ride and parts are readily available. We recommend getting an oil change every 500km, tightening and greasing your chain every morning and always check your brakes. This is something you should do anyway, however with the roads being extra mountainous in Northern Vietnam you want to make sure your bike is running in top condition. Having a working GPS or decent map is highly recommended. Road numbers change randomly and locals aren’t always the best when it comes to giving directions, unless you speak Vietnamese. There are very few signs that direct you to towns of interest. Again, this should be something you do anyway, but keep in mind that there are minimal well-equipped hospitals in Northern Vietnam. If you have a crash and are injured it can take a long time to get to Hanoi for treatment. Keep that in mind next time you go to open the throttle on a blind corner.